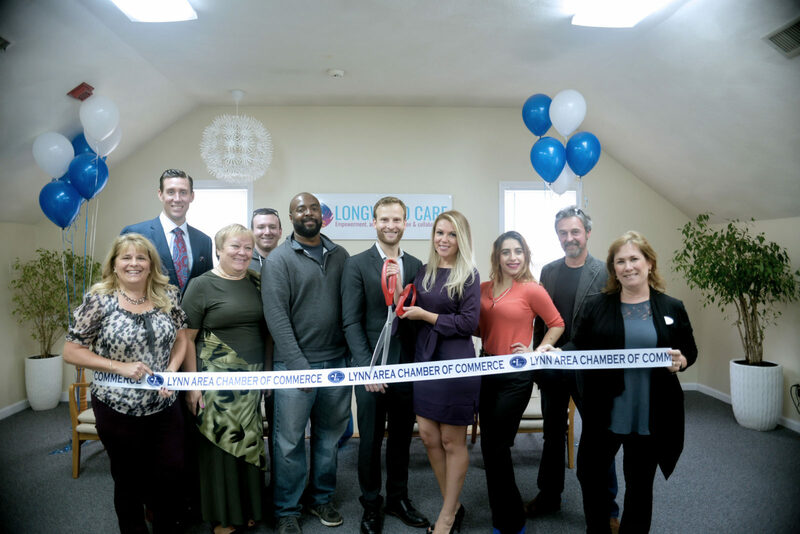 SWAMPSCOTT, MA — The Lynn Area Chamber of Commerce recently held a ribbon cutting for new member, Longwood Care. Located at 21 Railroad Avenue in Swampscott, Longwood Care emerged from a small marriage and family therapy, private practice dedicated to serving the Boston and North Shore communities. Their key focus is geared to empowerment, advocacy, inclusion & collaboration for individual and families and is dedicated to creating, improving and sustaining support networks through their commitment to the communities in the Commonwealth. Svetchnikov adds that most clients are referred over by our community partners such as the Department of Children and Families including schools, hospitals, clinics, centers and other organizations as well as local self-initiated via Psychology Today and community word-of-mouth referrals. The organization also has the capacity for several languages including Russian, Ukrainian and Spanish. The organization serves the North Shore & Boston areas including Lynn, Swampscott, Marblehead, Nahant, Salem, Peabody, Danvers, Beverly, Revere, Winthrop, East Boston and Chelsea. Longwood Care is currently accepting new clients and there is no wait-list for those seeking a licensed marriage and family therapist, social worker or mental health counselor. Longwood Care joined the Lynn Area Chamber of Commerce to strengthen relationships within and meet the needs of the community. A 501(c)3 non-profit charitable organization, working with established organizations, city and state departments and other partners throughout the state of Massachusetts to transform child and family support networks by providing effective parent and child focused clinical and therapeutic training. Accepting Blue Cross Blue Shield (BCBS), MassHealth, Self-Pay, and all major insurance plans. For more information, please visit www.longwoodcare.org or call 781-600-5501.